31.7% of throws behind or within 5 yards of the line of scrimmage. Impressions: Will Grier is an experienced player and skilled passer. He throws a very catchable ball with excellent touch, anticipation and accuracy to all levels of the field. Grier has a great scrambling ability to his game outside the pocket. He’s most elusive of the class behind the line of scrimmage, reminiscent of Sam Darnold, both good and bad. His biggest issue outside of arm strength is he runs around and tries to make a play too often. It’s an appealing part of his game, but at this point it’s a weakness because instead of taking the check down, he scrambles around too often resulting in a sack, fumble or last-minute throwaway. Grier is solid pre-snap and sees the defenses very well. He’s a gamer with a natural feel for the game and a very confident thrower – and it shows up in the most clutch situations. With that comes some reckless turnover-worthy throws. Grier tends to get sloppy and his play breaks down with pressure. The lack of back shoulder and speed-out passes to his game also reveal his limitations as a passer. One of the physical concerns to Grier is the lack top end arm strength. He tops out around 45-50 air yards if the wind is to his back and he has the space to wind up and put his whole body into it (his delivery is long and labored in order to drive the ball upwards to make up for the lack of juice on it). 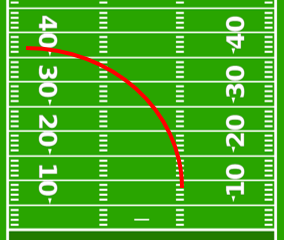 His median blue throws hover around the 32 air-yard range. He has plenty of zip on it within his range, but his range is smaller than the best throwers in the league. Very rarely will he attempt cover 2 shots into tight coverage – most of his downfield throws were high trajectory, over the shoulder passes on fades. 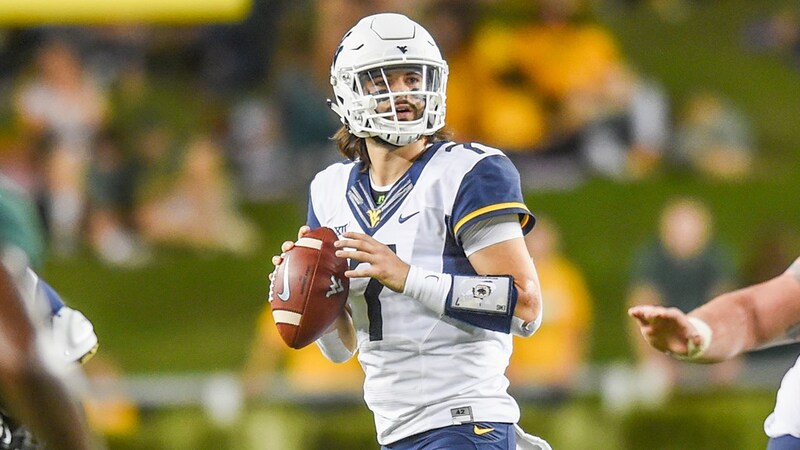 Overall, Grier is lacking the elite physical traits that are highly desired in first-round prospects, but his willingness to test all areas of the field and throw efficiency is top of the class. 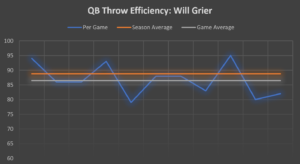 Grier is the definition of a gunslinger and needs to grow as a quarterback and learn to dial back some of his backyard habits, but has the right makeup needed to succeed in the league. Grier’s best path to success is in a system that caters to his strengths as a passer and is willing to install some air-raid style concepts such as the four verticals or Y-mesh to bolster his development.